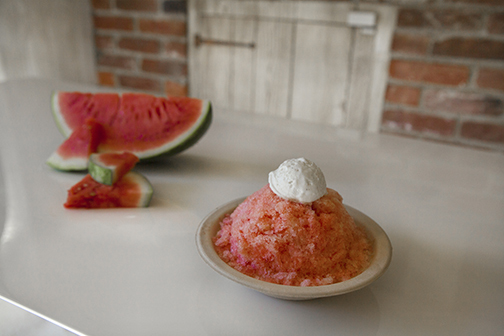 Here at the Kreamery we carry on the 500 year old Japanese tradition that is Kakigori! 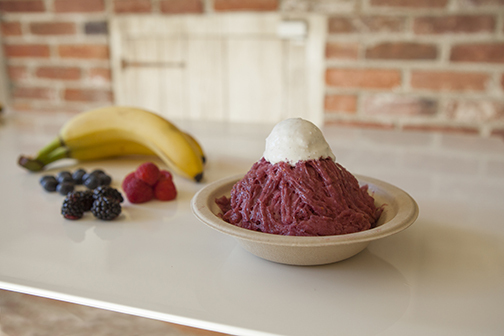 We push the limits of what this simple treat can be by using all natural fruit and cane sugar to provide a refreshing experience unlike any other shaved ice. We promote community and togetherness through our love of powder snow goodness! Arigatou Gozaimashita (ありがとうございました) – Thank you!!! One night at the dinner table Jack began picking his father’s brain about potential businesses ventures. Jack’s dad shared the story of his friend’s son, who had launched an ice cream truck in Arizona (thank you Paul). 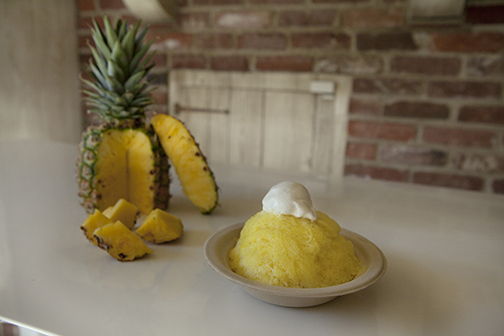 With this concept in his head, Jack researched whether Los Angeles had kakigori (Japanese shaved ice), which he ate regularly while in Japan during the summer of 2014. 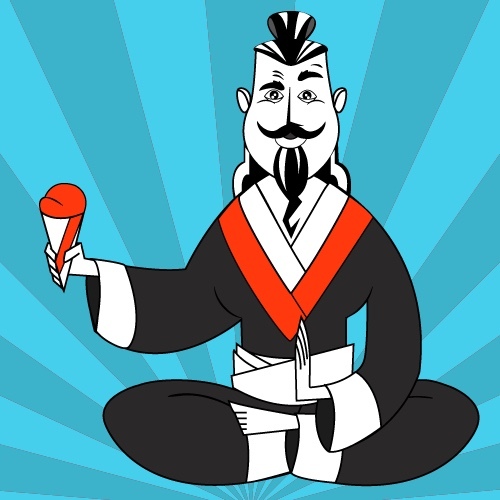 Surprised by a serious lack of Kakigori offerings on the market, the concept of a roaming truck dedicated to Japanese inspired shaved ice was born! Devoting a chunk of his savings accumulated over seventeen years of birthdays and holidays, Jack assembled a proposal, ultimately convincing family members to lend him the balance of the startup capital required to launch his idea. The next step was recruiting a team. 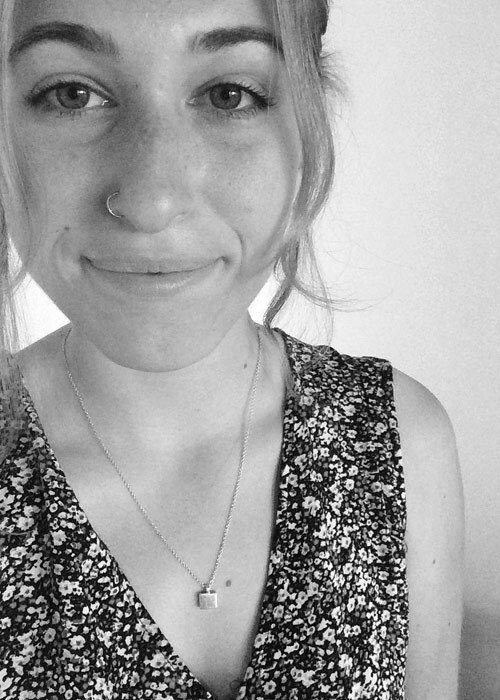 Ari, a nineteen-year-old friend attending Reed College, immediately jumped in bringing her creative talents to menu design, truck graphics, and a social media campaign. Next on board came Peter, a seventeen-year-old friend of Jack’s and an aspiring filmmaker, who is chronicling the journey of Kakigori Kreamery through video documentation. Finally, Jack sought out family friends, Marie and Dana, who through their extensive contacts in the restaurant business provided the three teens an education on what it takes to run a food truck. The team has quickly and whole-heartedly leaped into learning about food service, as well as all other aspects of starting a business (incorporating a company, procuring insurance, following labor laws, negotiating the purchase of a used truck, and following Los Angeles and Orange County Health Department codes). A seriously special thank you goes out to the owners and employees of Coolhaus, who allowed the Kakigori Kreamery team to pick their brains and get some on-the-road experience interning on their truck. 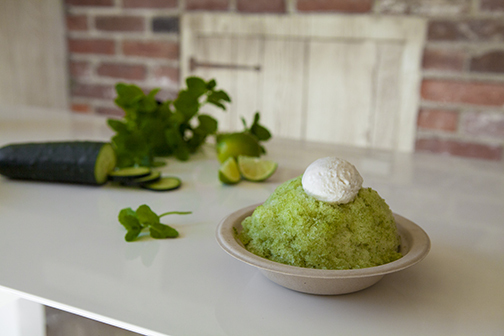 It took a village of truly motivated and passionate people all pitching in to launch Kakigori Kreamery and we are so proud of our creation! Jack is the founder and Chief Executive Officer of Kakigori Kreamery, LLC. He is a 17-year-old entrepreneur entering his senior year of high school. Out of his many interests, Jack has particular admiration of Japanese culture and all things sweet. 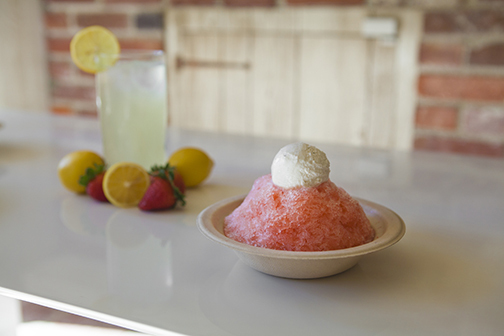 These passions led him to develop a one-of-a-kind food truck experience inspired by Kakigori, a traditional Japanese dessert of shaved ice, sweetened syrup, and various toppings. 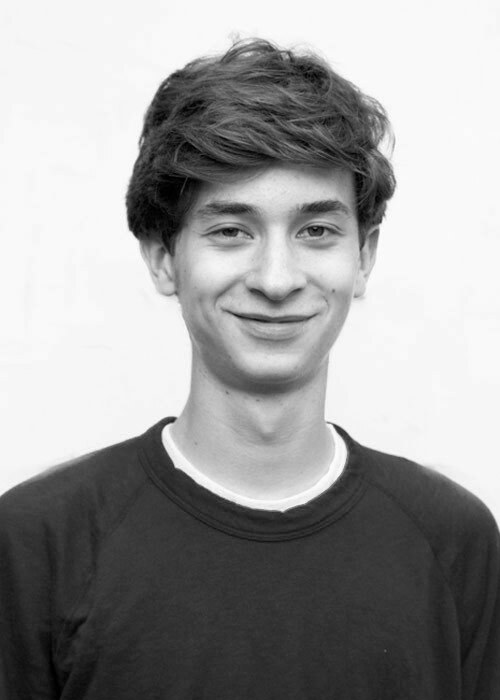 Jack has been a student of Japanese language and culture since he was 12 years old and has twice visited Japan. He spent the summer of 2014 traveling throughout the country and was particularly enamored by the intricacies of both Japanese language and food. 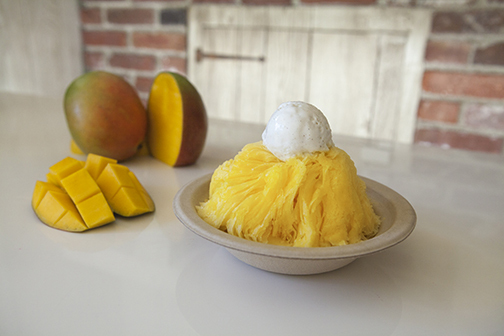 After many months of due diligence on competitive offerings in Los Angeles, experimentation with various flavors, and the customization of a shaved ice truck that is fully approved by the Los Angeles and Orange County Health Departments, Jack is set to launch his mobile food truck during the summer of 2015. 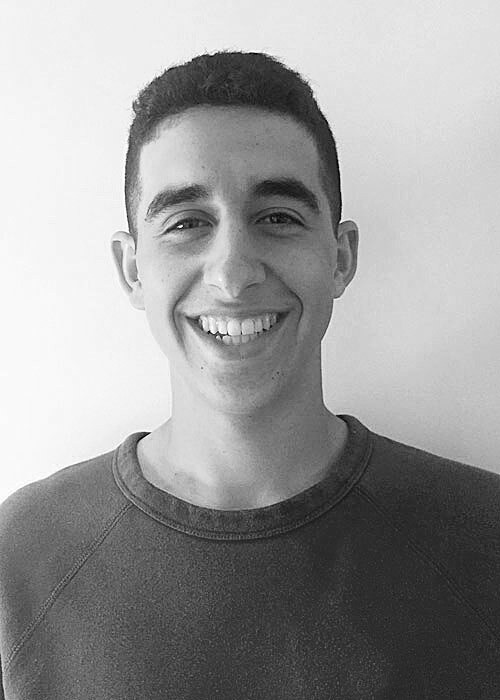 Ari Smolin is a rising sophomore at Reed College, interested in studying English, Sociology, and Film. She is an avid pursuer of all things food and food related and a lover of reading, writing, and any creative endeavor involving scissors, colored pencils, or a stick of glue. 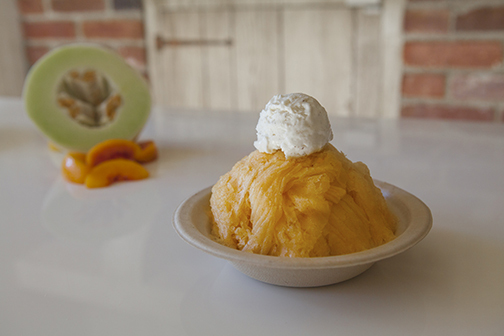 When she heard about Jack’s idea for Kakigori Kreamery, she was eager to get involved and dove into assisting with menu composition, truck design, and general truck operations. She is very much interested in learning the process of starting and executing a business. Ethan Baer is a senior in high school. 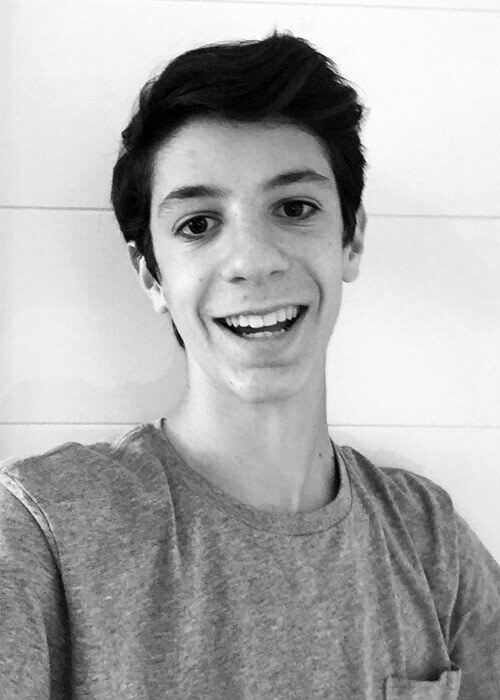 During junior high school, Ethan attended cooking school for four weeks. 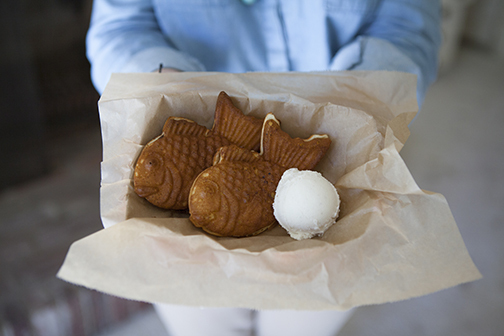 When Ethan was offered a job to work on the Kakigori Kreamery truck, he did not hesitate to say yes. Ethan knew that this opportunity would be a great way to display his culinary abilities while getting good work experience. When Ethan does not work on the truck, he plays baseball for his high school team and travel team. Peter Klausner is a senior in high school. He is a huge foodie and always tries to go to great restaurants with his friends. Peter was delighted when he was offered to work on the Kakigori Kreamery truck because he knew would have a great experience handling media and getting hands on culinary experience on the truck. When Peter is not on the truck, he is writing scripts and shooting short films. He is in the midst of editing a short film about the starting of Kakigori Kreamery, which will be online very soon. Ernesto is a young entrepreneur starting in the restaurant industry when he was only 14. He opened his own restaurant “Esquina” at age 22 with his brother and a family friend, to great success. Years later he managed several restaurants in the Twin Cities area, including Mozza Mia in Edina, and Libertine Restaurant in Minneapolis among others. Ernesto branched out to LA in March 2015 and is excited to be helping build the Kakigory Kreamery brand with Jack Kaplan and the “Krew”. At Kakigori Kreamery we are ready to make your event a more delicious one. Contact us for catering pricing and availability or with any other questions or info you may need.